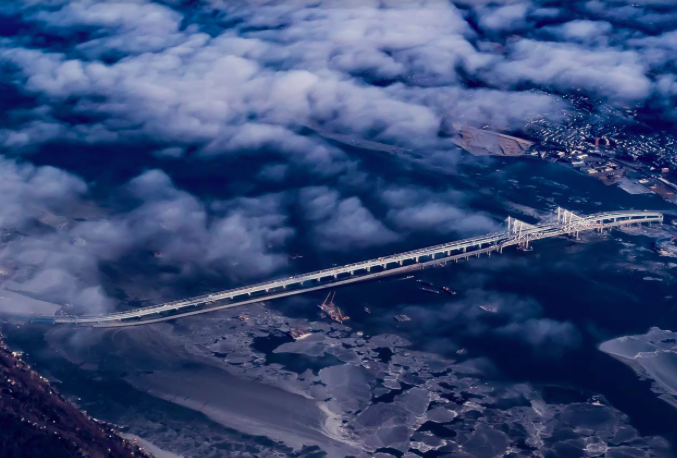 Nyack resident and photographer Fred Hodder took this photo of the new Tappan Zee Bridge while flying out of La Guardia this January. It offers a vantage point of the new bridge you may not have seen before. Also visible is what remained of the old Tappan Zee at the time.